Ms. Lorene Middleton transitioned to her heavenly home on Thursday, November 1, 2018 in Neyles, SC. Lorene was the daughter of Mr. Robert Middleton, Sr. and the late Mrs. Annie Mae Kinsey-Middleton. Lorene was born on February 25, 1965 in the Neyles Community. She received her education in the public schools of Colleton County, SC. “Talented and loving” are great words to describe Lorene. Family members would visit the home often just to get some of Lorene’s delicous country cooking. Lorene also enjoyed to dance along to great music! Loving - Lorene loved children, caring for people, and enjoyed being an Aunt. She displayed this by raising several of her nieces and nephews. Lorene always remained active in her nieces and nephews lives and would be considered one of their biggest supporters. Lorene also cared for her late mother when her health began to decline, as well as supporting her father by maintaining the home. Lorene was preceded in death by her mother, Mrs. Annie Mae Kinsey-Middleton; brother, Mr. Robert Middleton, Jr., and sister Ms. Rosa Lee Middleton. Lorene leaves to cherish her precious memories: her beloved father, Mr. Robert Middleton, Sr. of Round O, SC; brother, Mr. Reginald Middleton (Cynthia) of Charleston, SC; sister, Ms. Shirley Middleton (Wesley Hills) of Walterboro, SC; special nieces and nephew whom she assisted in raising, Ms. T’kia Middleton of Charleston, SC, Ms. Shaneeka Middleton of Round O, SC, Mr. Eric Middleton of Round O, SC, Miss. Errion Middleton of Round O, SC and Miss. 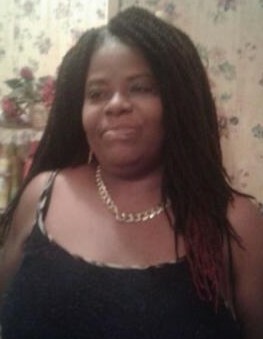 Shamera Middleton of Round O, SC; Special cousin, Mrs. Rosemary Sweat; also a host of nieces, nephews, cousins, other relatives, and friends.